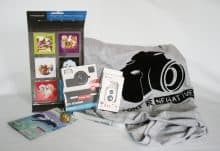 Generation-A is an awesome subscription box perfect for creative people. 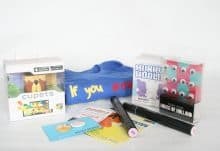 This subscription box offers items that can be used to inspire lateral thinking and creative thought. 1 month plan – This subscription plan is worth £19 per month for items worth £45 or more. 3 month plan – This is the most popular plan and saves £3.00, meaning you pay £54 every three months. 6 month plan – In this subscription plan saves £12.00 meaning you pay £102 twice a year. 12 month plan – This is considered to be the best value and while it is the most expensive plan, you pay £192 every year, it saves you £36.00 overall. All you have to do is to choose the plan that you can afford. The good thing is that all the items are manufactured by well-known suppliers or are bespoke. That’s why you can expect that all the items are of good quality. This is a good gift idea that you can give to your loved ones at any occasion. This will save you huge amount of money because you can have several items in a box at affordable cost, worth at least double what you paid. 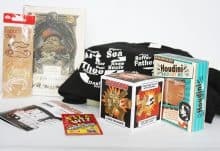 Once you have chosen your plan you should also give your t-shirt size.The customised items are not available from local shops, and so you are guaranteed to receive unique and distinctive products. How would you rate Generation-A ? Generation A – May Box 2016 – Photo! Generation A – April Box 2016 – Stage!